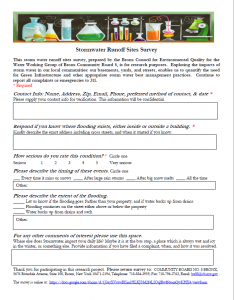 This storm water runoff site survey, prepared by the Bronx Council for Environmental Quality for the Water Working Group of Bronx Community Board 8, is for research purposes. Exploring the impacts of storm water in our local communities: our basements, yards, and streets, enables us to quantify the need for Green Infrastructure and other appropriate storm water best management practices. Continue to report all complaints or emergencies to 311. 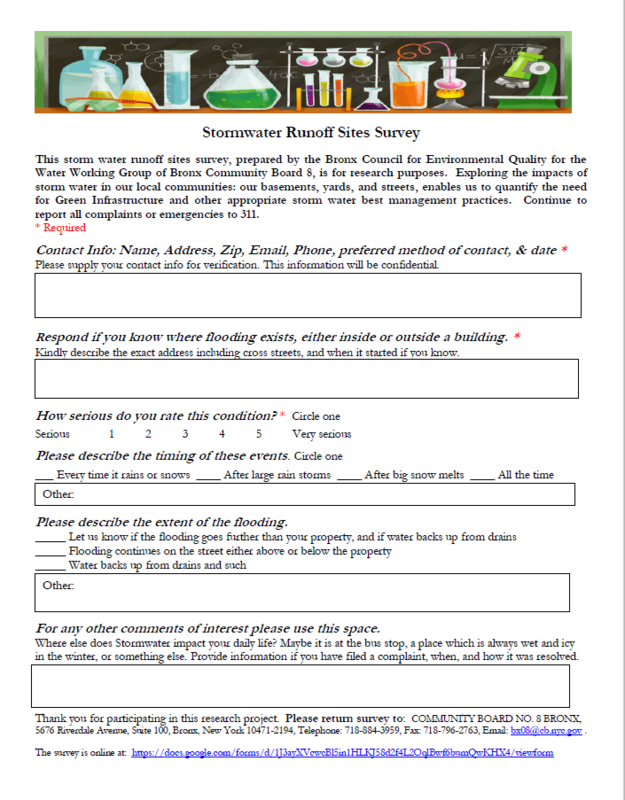 Deadline to respond is end of January 2016.